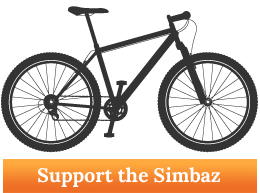 ← Bicycles for Humanity and the Safari Simbaz join forces with the purpose of reducing poverty through the power of the bike. 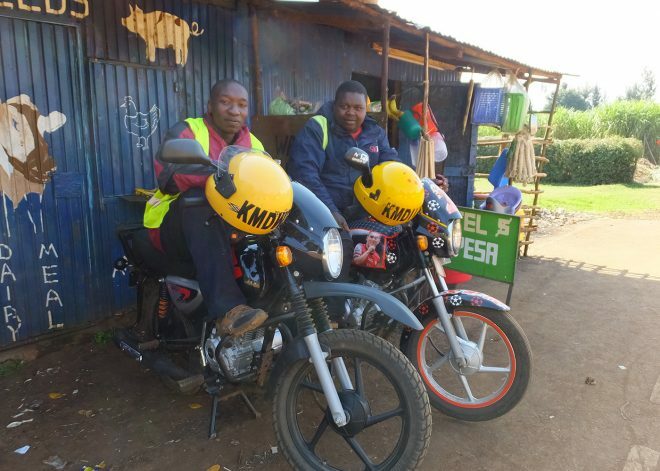 Dickson Luchezia is a good motorbike mechanic. 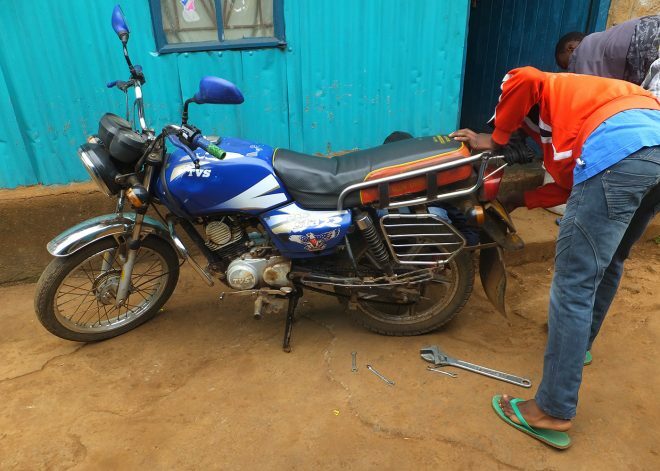 Learning how to fix a bike also applies for how to fix a motorbike. His detailed, fine work is developed through the experience of fixing a bike. 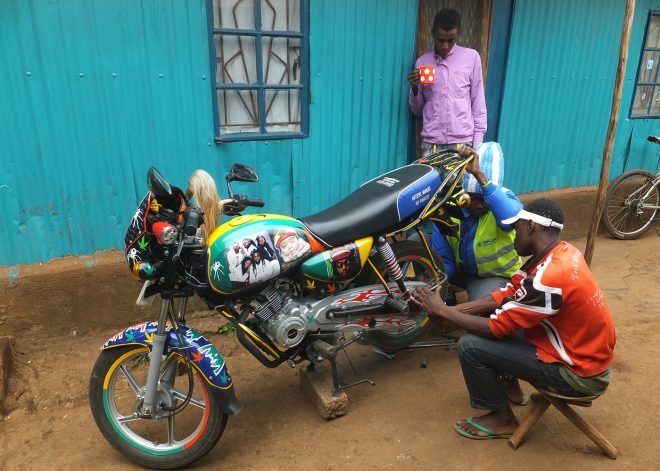 Their ways of taking care of motorbikes has good reputation in motorbike community. This is a very good idea from Kinjah. To help poor youth develop skills in bike repair ad in cycling. Great job David and your team!!! Thank you. Glad to have you on board!